The Pittsburgh Steelers promote responsible drinking and positive fan behavior at Heinz Field. The Steelers alcohol management plan ensures that fans have a safe and fun experience. 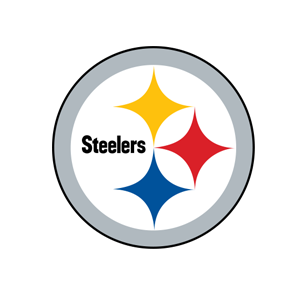 In Pittsburgh, the code of conduct has been eagerly adopted by Heinz Field, the Steelers and the University of Pittsburgh, and will be known as P.R.I.D.E. : PRIDE in Yourself, PRIDE in the Game. P.R.I.D.E. stands for Positive Heinz Field Experience; Respect Each Other; Integrity;Dignified Behavior; and Excellence On and Off the Field. The goal of the code of conduct is to have fans work together with people around them to help promote responsible fan behavior in the stadium and in the parking lots. Any fan in violation of these provisions will be subject to ejection without refund and loss of ticket privileges for future games. Season ticket holders and event patrons are responsible for their conduct as well as the conduct of their guests and/or persons occupying their seats. Season ticket holders and event patrons are responsible for their conduct as well as the conduct of their guests and/or persons occupying their seats. Stadium staff will promptly intervene to support an environment where event patrons, their guests, and other fans can enjoy the event free from the above behaviors. Event patrons and guests who violate these provisions will be subject to ejection without refund and potential loss of ticket privileges for future events. PSSI Stadium Corp. reserves the right to revoke ticket privileges for any reason and at any time during the season. PSSI Stadium Corp. will notify in writing the season ticket holder of record of any report of fan misconduct. Fans can now report emergencies in the seating bowl from their seat. If you see a fan altercation, medical emergency or other violation of stadium rules, please call or text stadium management immediately. There are 4 locations of the Bud Light “Good Sport” designated-driver program at Heinz Field. Fans who pledge to be designated drivers receive a complimentary soft drink and a chance to be selected as the Designated Driver for the Game. Four Designated Drivers for the Game are recognized on the stadium video board and receive a special “Good Sport” Steelers windbreaker.